Published Feb 21, 2017 by Addison-Wesley Professional. Part of the LiveLessons series. 1.4 Why is managing within agile hard? All too often, software development is deemed unmanageable. The news is filled with stories of projects that have run catastrophically over schedule and budget. In Managing Software People and Teams LiveLessons, based on their book, Managing the Unmanageable: Rules, Tools, and Insights for Managing Software People and Teams, Mickey Mantle and Ron Lichty present a simple observation: You first must make programmers and software teams manageable. That is, you need to begin by understanding your people—how to hire them, motivate them, and lead them to develop and deliver great products. 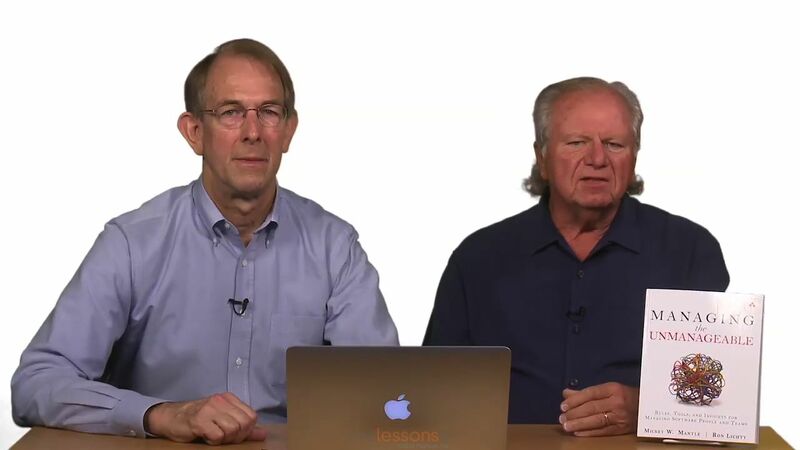 Drawing on their combined 75-plus years of software development and management experience, and highlighting the insights and wisdom of other successful managers, Mantle and Lichty provide the guidance you need to manage people and teams in order to deliver software successfully. Lesson 4 speaks, in two parts, to the first days and weeks after getting a new hire’s offer acceptance. In part one, too many managers have experienced new hires not showing up for day one. In part two, for the majority of new hires who actually do start when promised, too many managers and teams fail at effective onboarding them, to the detriment not only of the new hire’s productivity, but dramatically pulling down the entire team’s productivity. The antidote is making onboarding--starting from the moment of acceptance as well as beginning on day one--a best practice.